of Florida researchers hope to answer some f these questions with a new study supported by a $3.2 million grant from the National Institute on Drug Abuse. 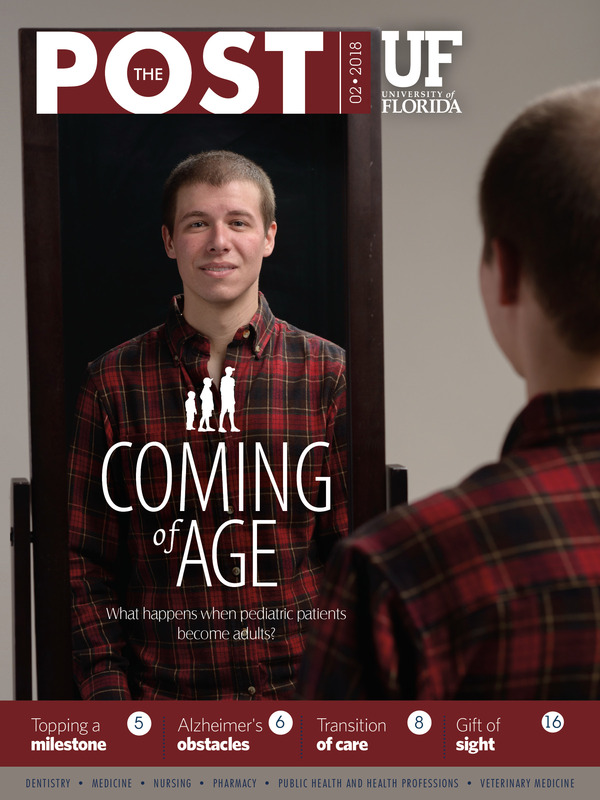 Florida has the highest rate of new HIV infections and the third-highest number of people living with HIV infection in the U.S, nearly half of whom are now age 50 or older. During the five-year study, UF researchers and partners at the University of South Florida and Florida International University plan to follow 400 Floridians with HIV who report current marijuana use. It is believed to be the largest and most comprehensive study to date on the health effects of marijuana in people with HIV. At the University of Florida, study collaborators are scientists from across UF Health with expertise in biostatistics, cognition, substance use and toxicology, including Babette Brumback, Ph.D.; Ronald Cohen, Ph.D.; Linda B. Cottler, Ph.D., M.P.H. ; and Bruce Goldberger, Ph.D. The research team will track the quantity, frequency and cannabinoid content of marijuana used by participants in order to identify patterns of use most strongly associated with control of patient symptoms, such as pain, stress and sleep problems. The team will evaluate marijuana’s effect on participants’ health outcomes, and through neurocognitive testing, they hope to gain an understanding of how marijuana may affect thinking, memory and planning in people with HIV. The researchers will also compare outcomes in people who receive medical marijuana with outcomes in those who use recreationally and will track long-term use of opioids in these populations. “We expect the study to contribute to clinical and public health guidelines, while also addressing knowledge gaps about how much marijuana is ‘too much’ and how the effects of marijuana may be different in older individuals,” Cook said. Funding of the new study is one of a long line of recent scientific successes for Cook and members of the SHARC team, who have published more than a dozen studies in the last year alone focusing on various health issues among people with HIV, including alcohol use, smoking and depression. The SHARC team also received another NIH grant this year, along with collaborators at the University of Miami, the University of Louisville and the Florida Department of Health, to identify strategies to help reduce alcohol-related harms in people infected with HIV. “We have a shared vision of a day when people affected by alcohol, substance abuse, mental health and HIV can have the same quality of life and health outcomes as everyone else,” Cook said.